Here at Fly 'Em High Charters we are proud of the partnerships that we have cultivated with some of the leading brands in the marine industry. On your fishing trip you will be using rods either made by Eupro or custom made by Captain Bobby. All reels both spinning and conventional are supplied by Daiwa. 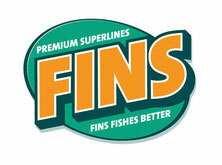 Braided line provided by FINS and fluorocarbon leader by Eupro. Both Gamakatsu and Owner hooks are used for the various fishing styles. Captain Bobby and Fly 'Em High Charters are fully sponsored by Big Fish Bait & Tackle in Lakeland, Florida. 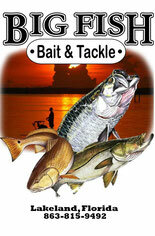 All of the fine products that are used on your fishing charter can be purchased at Big Fish Bait & Tackle. They can be reached at 863-815-9492 or by clicking their on their logo.